Do you have guests that do not have a phone or mobile device with them? If so, a great option is to let your staff and volunteers submit bids on behalf of your guests. You can do so by navigating to the Team Management section of your console menu. 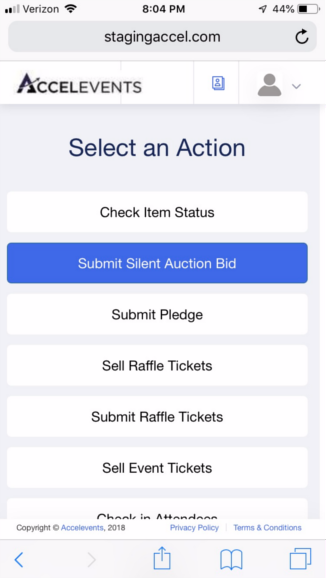 Below, please find instructions for your staff and volunteers to follow in order to log in to the staff page and submit silent auction bids for your guests. 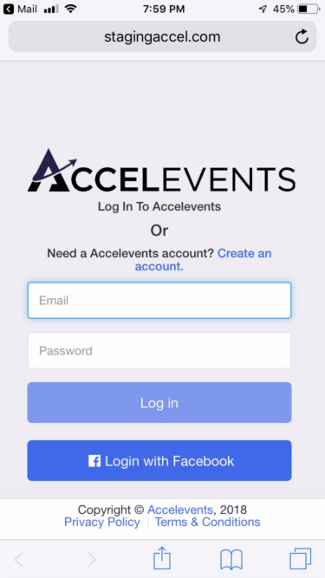 Staff members and volunteers will receive an email from Accelevents, informing them that they have been granted access to your fundraiser’s staff page. Click the “Access the Account” button. Staff and volunteers will be brought to a login page, where they can enter their email address and create a password in order to log in. 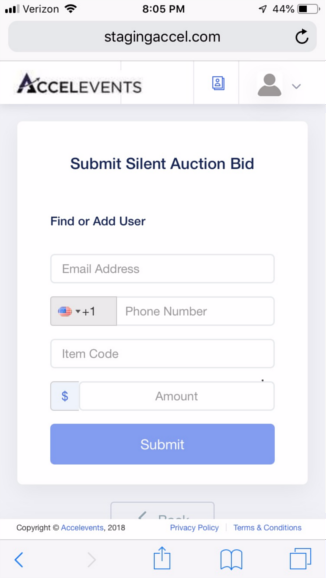 Once signed in to the Staff Page, volunteers can select the “Submit Silent Auction Bid” option. Finally, staff and volunteers will be able to enter guest’s information and bid amount. Press submit, and the bid is complete!